Manhattan’s Menorah being lit by Danny Danon, Israel’s Ambassador to the UN, in 2016. Via Chabad Lubavitch/Flickr. Brooklyn’s Menorah being lit by Mayor Bill de Blasio in 2016. Via Chabad Lubavitch/Flickr. In 1973, Rabbi Shmuel Butman erected a menorah in Manhattan, where it still stands every year, on Fifth Avenue at the southeastern corner of Central Park. About a decade later, in 1984, Rabbi Shimon Hecht built his at Grand Army Plaza in Park Slope. Both menorahs are actually the same height, 32 feet, the maximum allowed by Jewish law. But the central candle in Hecht’s menorah — called the shamash — is six inches taller than Butman’s. 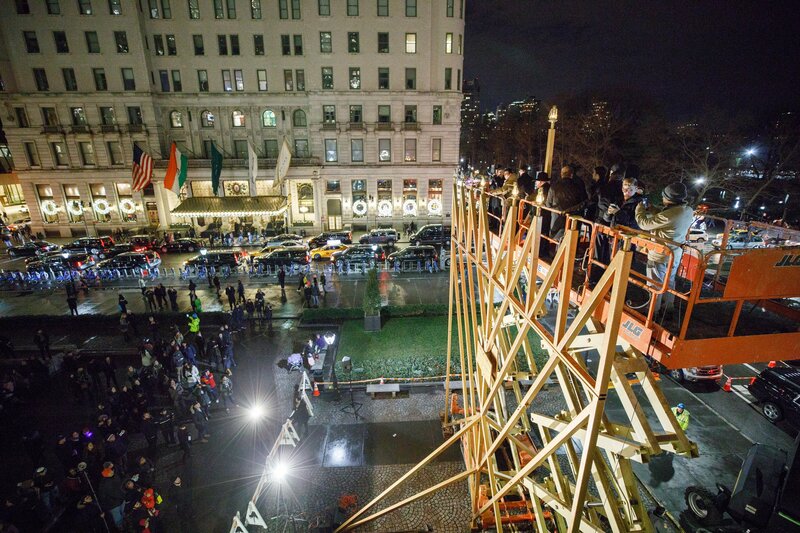 In 2006 The Guiness Book of World Records gave Manhattan a slight edge by certifying the Fifth Avenue menorah as the “World’s Largest Menorah,” but the claim to fame would not be settled until 2016 when a Chabad-Lubavitch rabbinical court weighed in on the matter. 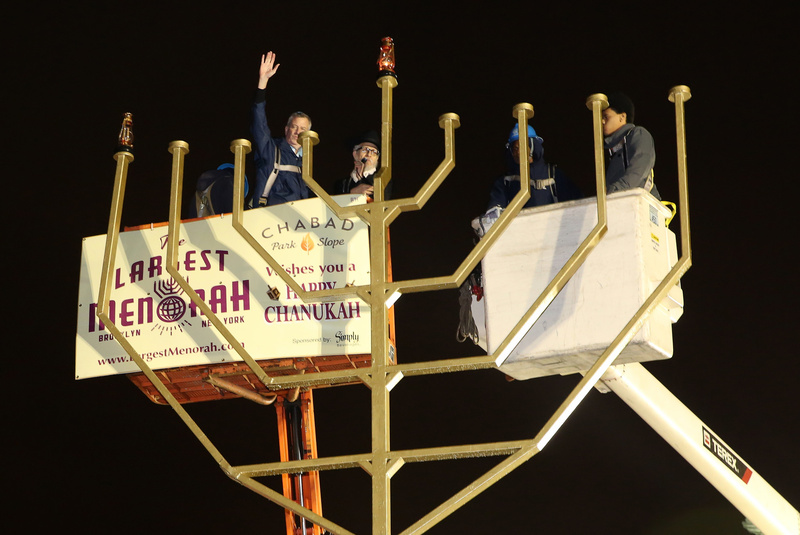 As The New York Jewish Week reported, the court decided that Hecht could not claim Brooklyn had the largest menorah — even though, technically, it is — because the Manhattan menorah used the moniker first, and so the court ruled that they owned the title. Each year, the lighting ceremonies draw thousands of people. In the wake of the attack on the Tree of Life Synagogue in Pittsburgh and in the face of growing anti semitism, it is expected that this year will draw even more attendants than usual to the festival of lights. “When faced with darkness and hatred, the light of the menorah serves as a symbol of strength and inspiration, democracy and freedom for all people, delivering a timely and poignant message to each person on an individual basis,” Rabbi Butman said in a recent statement. December 2 at 5:30 p.m.
December 3 at 5:30 p.m.
December 4 at 5:30 p.m.
December 6 at 5:30 p.m.
December 7 at 3:30 p.m.
December 8 at 8:30 p.m.
December 9 at 5:30 p.m.